As a freelancer, to build a steady business, you have to market yourself intensely to your potential clients. There are numerous channels available to do so, but you just can’t afford to skip Facebook. When done well, Facebook marketing can augment your brand building, networking, and lead gen efforts like no other channel. In this guide, we offer essential tips, step-by-step tutorials, and relevant examples, so that you can get started quickly. Why use Facebook to market your freelance business? How to set up your personal Facebook profile to land more clients? How to land more clients using your Facebook Page? How to attract freelance clients using Facebook Groups? How to grow your business using Facebook Lead Ads? You can click on the links above to navigate to your preferred section. India is the second largest freelance economy in the world with almost 15 million freelancers. The resulting rise in competition has forced freelancers to go beyond the traditional marketing channels. One channel you must not skip is Facebook. According to Statista, India is home to 294 million Facebook users, the highest in the world. So, the reach Facebook offers is unparalleled, and you would be a fool not to take advantage of it. People spend a lot of time on social media — 1.72 hours per day. Facebook is a great platform to build and engage with your network. Easily share content to showcase your skills and capabilities. Conducting events and discussions on Facebook is easy. Facebook Ads are ideal for driving traffic to your website. In other words, Facebook is a lead gen goldmine for freelancers. To get you started, we have created this guide on Facebook marketing. You’ll find all the Facebook Marketing essentials here — from basics like optimizing your Facebook profile to advertising on Facebook. How to leverage Facebook to grow your freelance business? Facebook has multiple avenues to attract clients, namely, your personal Facebook profile, your official Facebook Page, relevant Facebook groups, and Lead Ads. Use them according to the nature, demands, and requirements of the service you provide. Let’s explore every method in detail, starting with your personal profile. 1. How to set up your personal Facebook profile to land more clients? Using your personal profile for business purposes sounds tacky and distasteful. More importantly, according to Facebook’s terms and conditions, you are not allowed to use it exclusively for business. That doesn’t mean you can’t use it to kick-start conversations with potential clients or establish your personal brand. Your personal profile is part of your online image, and you have to make sure it looks professional. Put a real picture of yourself. Make sure it is pleasant and recognizable. Mention your profession in the Intro, but don’t stop at that. Add one more line specifying your niche. For instance, instead of ‘marketer’, you can write ‘a marketer who specializes in social media, SEO, and content’. Be sure to pick a professional username. Add a link to your Facebook profile to your website’s contact us page. Ensure your bio contains a link to your online portfolio or your business website. It gives a chance for visitors to know more about your work. Ensure your educational qualifications, work experience, and contact details are spelled out clearly — a great way to showcase your capabilities. Allow people to follow your personal Facebook profile. A quick way to build your audience. Share important milestones or moments in your freelancing career with your audience. It helps to inform people about your work. Use the new Graph Search feature to expand your network. Get your friends to introduce you to their friends who could be a potential client. Create public photo albums about a trending event or happening relevant to your niche. Be sure to tag people and add relevant hashtags or location check-ins. Set up custom lists made up of existing clients and potential clients. Reach out to them personally to get them to review your page. Even if you don’t wish to use your personal profile for business purposes, it is always good to maintain a professional outlook to your profile. 2. How to land more clients using your Facebook Page? As mentioned earlier, Facebook doesn’t let you use your personal profile for business purposes. So, there are limitations to what it can do. One way to overcome this limitation is to create an official Facebook page. But, creating a page is not enough. You have to proactively work on increasing your likes, optimizing your page content for search, and engaging your audience. The first step is to set up your profile the right way. Select the appropriate layout for your page. Ensure you fill out all the essential details including a description of your service, and add a professional looking display picture and a cover photo. 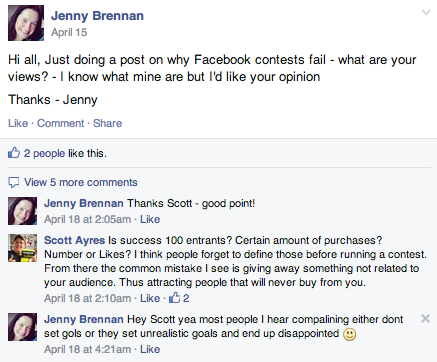 If you don’t actively try to increase your Page Likes, the reach of your posts will suffer. Start by inviting your existing clients, former clients, newsletter subscribers, colleagues, friends, and family. Be sure to add your Facebook Page’s link to your online portfolio, blog posts, other social media handles, any guest posts that you write, email signature, and so on. Facebook’s search engine is comprehensive and caters to almost 2 billion search queries per day. So, you have to make sure you are visible to potential clients. In a nutshell, you have to optimise everything from your Facebook videos, photos to your description for search. For instance, instead of writing art director, the description can be freelance design director who loves photography and film, with experience working for brands like Netflix, Marvel, and so on. Make sure to A/B test your post timings and find out what times work the best. Once you find out what’s working, fix the post frequency, and be consistent about it. Every post you make reflects your brand image. So, ensure the copy is attractive, helpful, authentic, relevant, and short. For instance, if you are sharing a blog post, add a headline that evokes curiosity, a couple of sentences to set the context, an attractive and relevant image to capture the prospects’ attention, and the link to the article. Use a URL shortener service to create branded URLs. Engagement is everything in Facebook marketing, especially in the case your Facebook Page. The more engagement you receive, the higher the chances of your posts appearing in the newsfeed of prospects. Don’t use it as a channel to promote your content. Instead, there should be two-way communication. Engage with your followers, prompt them to ask questions, have discussions with them, answer their queries, wish people on special occasions, run contests and giveaways, and so on. It shows that you are approachable, trustworthy, and capable. Facebook allows your followers to rate and review you. If the section is not visible on your page, enable it by visiting the Templates and Tabs menu. Reviews and ratings can sway the opinion of even the most hesitant of prospects — it establishes trust and inspires confidence in your capabilities. The key here is to be proactive about collecting it. Firstly, get every client you have worked with to rate and review you on Facebook. 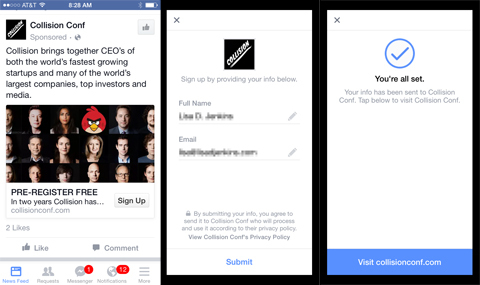 Later, once every project is completed, send an email inviting them to rate your service on Facebook. Additionally, clip the testimonials you have on your portfolio and share it on Facebook. Due to algorithm changes, people don’t always see Facebook Page posts on their newsfeed. One way to overcome this limitation is by boosting your posts. It is a paid form of advertisement which helps you reach a wider audience. The setup process is quite simple. Click on the boost post button in the post box, narrow down your target audience, set your budget and boost duration, pay the money, and you are done. Don’t boost the same post for a long time. Always be clear of the end goal— brand awareness, traffic, engagement, and so on. Use Facebook Insights to find out how the boosted posts performed. 3. How to attract freelance clients using Facebook Groups? Prospects use Facebook Groups to interact with each other, stay up-to-date with the latest happenings in their industry, learn how to get better at what they do, and so on. Use this gathering to your advantage — interact, showcase your capabilities, build rapport, earn referrals, and pitch your services. 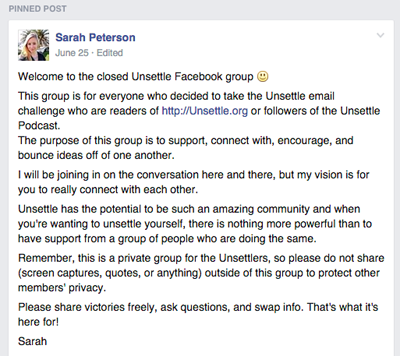 Read on to learn the steps involved in using Facebook Groups to attract more clients. Put yourself in your ideal client’s feet and find out the kind of Facebook Groups they would join. For instance, if you are a B2B freelance tech writer, you should focus on SaaS or startup related groups such as Connecting Startups, Savvy Business Owners, and so on. Typical questions that clients ask you. Common pain points of your clients. Type of content that your clients generally like. What is your potential client looking to achieve from the relationship? Be sure to send requests only to the most relevant groups. And before joining, do read the group’s guidelines carefully. Also, check out the level and quality of engagement for older posts. Last but not least, don’t spread yourself thin, focus your efforts only on 3-5 groups at a time. Next step is to interact with the members and add value. Engage with them on comments, answer questions, share your opinion, and help them with additional resources. Besides that, start discussions around topics relevant to your service. Follow a question and answer model or create polls — they spark conversations easily. Additionally, it helps you understand and delve into their problems. See to it that you reply to every single comment you get. Also, you need to engage on a regular basis. Once a month won’t cut it. At the same time, don’t spam the group, you will get kicked out. Create a schedule, select all the queries and comments you want to answer, and the content that you are planning to share. You too can share your content as long as it is super-relevant and is allowed by the group admins. You have to be very subtle about self-promotion. Along with that, try sharing teasers of downloadable resources, and invite interested parties to sign-up to your email list to get the complete version. Bonus tip: If you are a newbie, invite group members for a free consultation call. Nothing works like a one-on-conversation. Communicate your knowledge of their pain points and pitch how you plan to solve them. Once you have established yourself and built a rapport with the group members, start pitching your services. Focus on your prospect’s pain points and how your service will help overcome their problems. Also, try exclusive offers for group members — makes them all the more tempting. It might fetch you more referrals too. 4. How to grow your business using Facebook Lead Ads? Before we answer this question, let’s first understand what Facebook Lead Ads are. It is a relatively new feature that allows you to create lead magnets inside Facebook. For those who are not familiar with the term ‘Lead Magnets’, it is an offer such as a free resource, free consultation, or other experience that prospects find valuable enough to exchange their contact details for. Simply put, through Lead Ads, you will be able to obtain your potential client’s contact details by offering them something valuable. When a prospect clicks on your ad, a form will appear where they have to fill in the contact details. The information will be passed on to you when the prospect clicks on the submit button. How can freelancers use Facebook Lead Ads? Lead Ads are perfect for freelancers because it is easy to set up, highly-targeted, and powerful. You can spend more time interacting with clients and working on projects, and still have a steady stream of leads. Create a great first impression by providing highly helpful content to prospects. Showcase your skills by offering them free templates, trials, or consultations. Identify the pain points clients are most stressed out about. Use the prospects’ contact details to research about them — their pain points, the nature of their business, open projects, and so on. Based on that, you can send them a personalized pitch. Build a relationship with prospects through a personalized email drip series or by inviting them to join your email newsletter. Tempt them by offering special deals and discounts. You may get a few referrals too. Now that you know what Lead Ads are and how to use them, let’s explore a bit deeper and answer a few critical questions about it. What should you offer to the prospects? It all depends on the nature of your service and your target audience. There is no one-size-fits-all solution here. It could range from exclusive discounts, event passes, time-limited offers, contests, free consultation calls to free giveaways like a template or a planner. For instance, if you are a freelance writer, the incentive could be an editorial calendar template or a content style guide template. Whatever incentive you select, make sure it specifically addresses a pain point. What to do with the information you collected? Set up a drip email series with more free and useful content. Engage with them and find out more about their pain points. Research about the prospect, find out if they have any open projects, and draft a proposal. Invite them to join your newsletter. Get them to visit and read a blog post you wrote on your online portfolio website. What kind of targeting options are available? You can adjust the targeting for your ads with five primary filters: location, demographics, interests, behaviors, and connections. How much does it cost to run these campaigns? The minimum budget to set for these campaigns are $1.00 per day. You can either set a per day budget or a total campaign budget. The average lead cost depends really on your industry. But, people who used Lead Ads have often reported a substantial drop in lead generation costs compared to other forms of paid advertisements. The effectiveness of your Lead Ads campaign depends heavily on your copy and the lead magnet. That’s what boosts the recall value. Otherwise, people will end up marking you as spam or as promotional email. One of the major drawbacks of the freelancing life is that it is full of distractions. So, Facebook marketing might be the last thing on your mind. You may feel you won’t find time to finish all of the tasks mentioned above. Don’t be overwhelmed. You don’t have to do all of this at the same time. Take it step-by-step. Frame a long-term action plan. Work on your profile first, then build your page, start networking on groups, and so on. Use a project management tool to track and optimise your efforts. Facebook marketing success can’t be achieved by accident or luck. Stay organised, be patient, be helpful, and never stop engaging with people. This blog post is part of our social media marketing series for freelancers. We have also written about LinkedIn marketing. 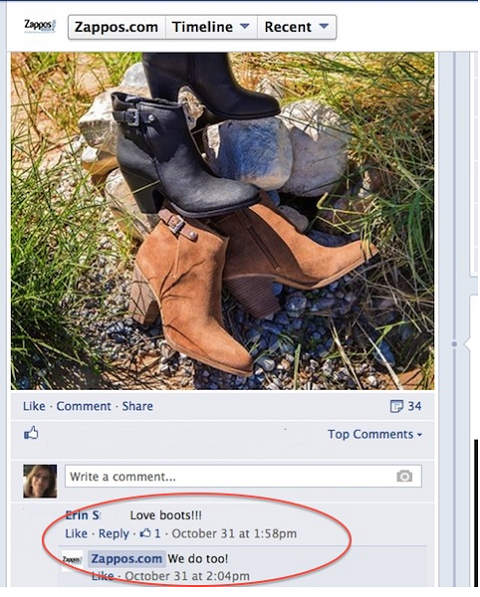 Perfect detail oriented post about facebook marketing. I got some good points here. Hii,I’m Susmita SEO Freelancer,I think Facebook is a place where many people can be reached and it is very profitable for our freelancer..So I think that Facebook marketing should know how to do the right way. That’s quite helpful. Facebook is a sea of prospects indeed! Thanks for the sharing such a useful information.